Drier. Cleaner. Healthier.® Professional carpet cleaning Irvine, California. Call (949) 612-7464 to learn how our healthy, green carpet cleaning in Orange County is the best choice for your home or business. Active Chem-Dry in Irvine is the alternative to steam cleaning, DIY and rental machines you have been looking for. Our carpet cleaning process relies on innovation, first-class equipment, certified technicians and healthier solutions you won’t find from anyone else. You will notice the difference immediately! We feel we offer the best carpet cleaning process because of our solutions, equipment, and most of all, our technicians. Active Chem-Dry technicians receive 5-star certification and continuous education and training throughout their career as well as unmatched experience in the industry. Because of our technicians we can offer guaranteed satisfaction. If you aren’t happy with the results from our first cleaning, call us at (949) 612-7464 and we will return until we’ve delivered the results or solution you are looking for. That’s our guarantee! Active Chem-Dry offers more than professional carpet cleaning in Orange County, CA. 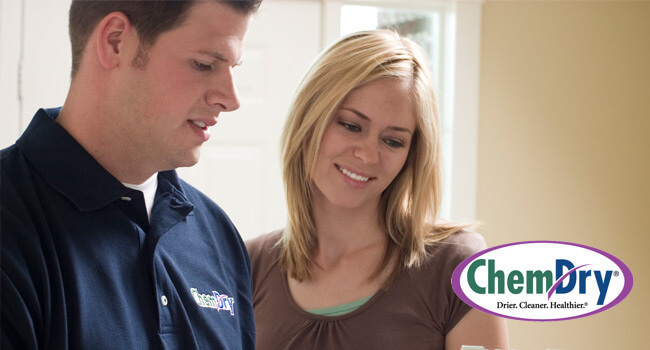 Technicians are trained in a variety of services to deliver a cleaner, healthier home to our customers. Each Active Chem-Dry service features green cleaning solutions, low moisture and are 100% safe for you and your family. Pets too! Whether it’s area rug cleaning, tile cleaning or pet urine odor removal, Active Chem-Dry is the drier, cleaner and healthier choice. Call (949) 612-7464 to find out more about our healthy cleaning services or schedule your appointment online! How Fast Do Carpets Dry? If you choose Active Chem-Dry for carpet cleaning in Irvine, your carpet will be dry within hours instead of days due to our low-moisture process. Green carpet cleaning doesn’t use chemicals. Active Chem-Dry doesn’t even use soap. Instead we use low-moisture techniques and the power of carbonation to clean carpet for amazing results. Yes! 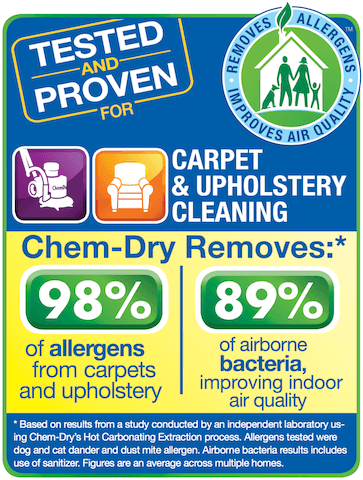 You can trust Active Chem-Dry to deliver 100% safe carpet cleaning for babies, toddlers and children. Our carpet cleaning is safe for babies because our methods don’t require phosphate-based cleaning agents, detergents or harmful chemicals associated with rental machines or steam cleaning carpet. Yes! 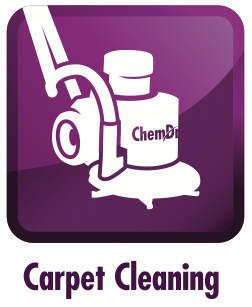 Active Chem-Dry is a green-certified carpet cleaning service in Irvine. You won’t find ingredients that are harmful to pets in our proprietary cleaning solution, The Natural. You will find The Natural on the FDA GRAS list. Plus, we offer P.U.R.T.®, an innovative pet urine removal treatment designed to eliminate harmful pet odors and prevent damage to carpet fibers and flooring. P.U.R.T. has even been recommended by renowned veterinarian Dr. Kwane. We are confident that Active Chem-Dry is the best carpet cleaning in Orange County for homes with pets. Active Chem-Dry also promotes no-kill shelters, local animal shelters and supports Chem-Dry Cares and its fundraising for Best Friends Animal Society® and their mission to eliminate no-kill shelters and educate on proper animal care. Our carpet cleaning prices are determined by the range of services provided and the total amount of square feet we clean. Be cautious of anyone advertising cheap carpet cleaning in Orange County, CA. For specific carpet cleaning costs, please call Active Chem-Dry at (949) 612-7464 or fill out our online form for a FREE estimate for the services you are interested in. We also offer year-round online specials. How Often Should You Clean Carpets? The Carpet & Rug Institute (CRI) recommends that you have your carpet cleaned at least once every 6-12 months and more often for commercial carpet cleaning. For answers to other common carpet cleaning questions consult with your technician, call (949) 612-7464 or read recent posts from the Active Chem-Dry blog. Our official blog features posts on carpet cleaning tips, stain removal advice, local events throughout Irvine and Orange County, local animal rescue groups and green organizations and a little fun too! “LIFE SAVERS!!! I recently had a tenant soil himself on the bed. RJ and Ryan came the same day and worked miracles. They cleaned and sanitized the entire room and made it look brand new. I can’t thank them enough for the job they did. I would recommend their company to anyone that needs their cleaning services no matter how extreme the scenario.” – Mathew B. “Called Active Chem-Dry based on excellent reviews on Yelp. I’m very pleased with the service of the company. RJ and Ryan are very professional. They gave me options but never forced me purchase additional services. My carpet and stairs are now super clean. The bonus room carpet looks like brand new! I will definitely refer Active Chem-Dry to all my family members and friends. Keep up the good work guys!!! You got me as your repeat customer from now on!” – Erica M.
“RJ and Ryan made our area rug and carpeted stairs look new again! RJ was very courteous, answered all my questions in detail and I would definitely request their services next time.” – Mike S.
“RJ and Ryan did an excellent Job. They were quick, courteous and no pressure about job or price. They let you decide without being hassled. Could not ask for better people. Highly recommend to anyone wanting to get their carpets cleaned. Thanks, Active Chem-Dry for a great carpet cleaning service!” – Ronald S.
“I had Active Chem Dry, RJ and Ryan, clean the carpets after water damage on January 1. They fully explained the process they would be using, moved small furniture so they could ensure no musty smell would be left. The carpet was deodorized and is now fresh and new looking. Both gentlemen were professional, courteous and informative. Thank your for a great job.” – Lorna H.
Read more online reviews for Active Chem-Dry or submit your own on Google+ or Yelp. We’d love to hear from you!